Stylish luxury modern apartment offered new to the rental market. Fully furnished and comprising of generous spacious entrance hallway, open plan living/ dining / kitchen area which has French balconies offering views up Argyle St, 2 large double bedroom ( master with ensuite shower room) and bathroom with shower over bath. The property further benefits from electric heating, double glazing. 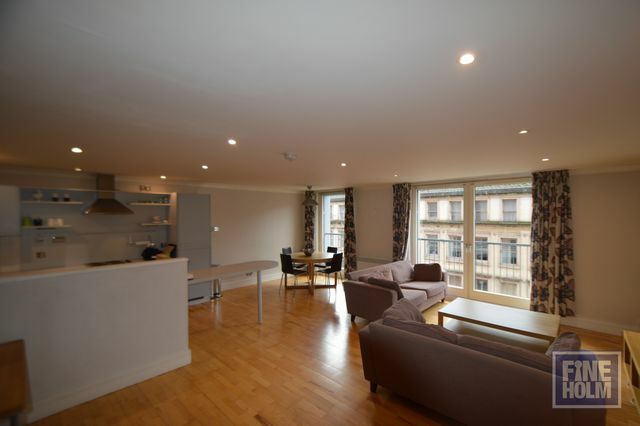 Stunning apartment set in the heart of the City Centre, offering a wide range of shopping facilities and transport links throughout Glasgow. Walking distance to a host of central railway and subway stations. Early viewing highly recommended to fully appreciate the quality of accommodation on offer. Lift access. Concierge service.